Project Gemini was the bridge between the Mercury and Apollo NASA space programs. Mercury proved NASA had the capability to put humans into Earth orbit, and Gemini set out with a new set of goals, including: putting multiple astronauts into orbit aboard the same craft, learning how to walk in space, practicing rendezvous and docking between crafts, and testing the influence of long-term spaceflights. All of these were necessary to begin the Apollo program with its goal to put a man on the Moon (and bring him back home safely!) before the end of the decade. Following two unmanned Gemini missions, Gemini III was the first manned mission in the program and carried Command Pilot Virgil I. 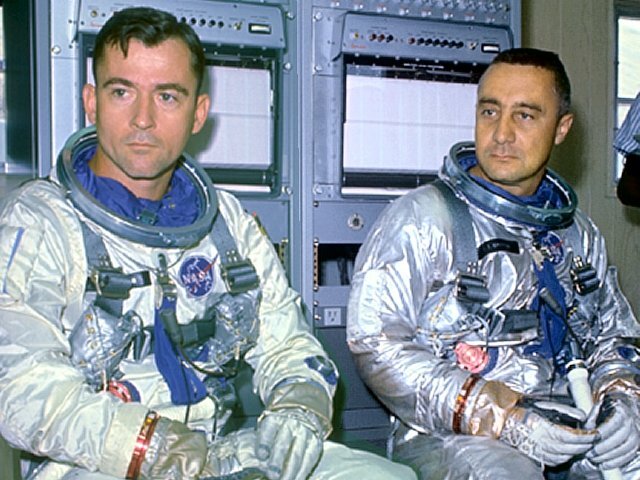 “Gus” Grissom and Pilot John W. Young. 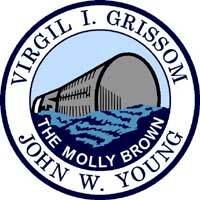 Gus Grissom became the first human to fly into space twice, while John Young took his rookie flight. The Gemini III capsule1 orbited the Earth three times on March 23, 1965, over the course of just under five hours. Then, at 1 hour, 52 minutes, and 26 seconds into the mission… it happened. John Young, through the aid of fellow astronaut Wally Schirra, had smuggled aboard a corned beef sandwich. Young and Grissom shared a few bites, but it began to crumble and little bits of it began to float around inside the capsule. It was quickly stowed away to prevent the pieces from shorting out any sensitive electronic equipment. After Gemini III returned to Earth, Young, Grissom, and Schirra, and NASA caught flack for the incident from members of Congress that were looking for an excuse to cut agency funding. A Congressional Committee even held a hearing over the ordeal. And there you have it: the story of the first corned beef sandwich in space. Sometimes a sandwich is just a sandwich, and other times it threatens humanity’s greatest space program. Check out John Young’s fantastic memoir, Forever Young: A Life of Adventure in Air and Space. Tagged corned beef sandwich, exploration, Gemini 3, Gus Grissom, Historical, John Young, NASA, Project Gemini.